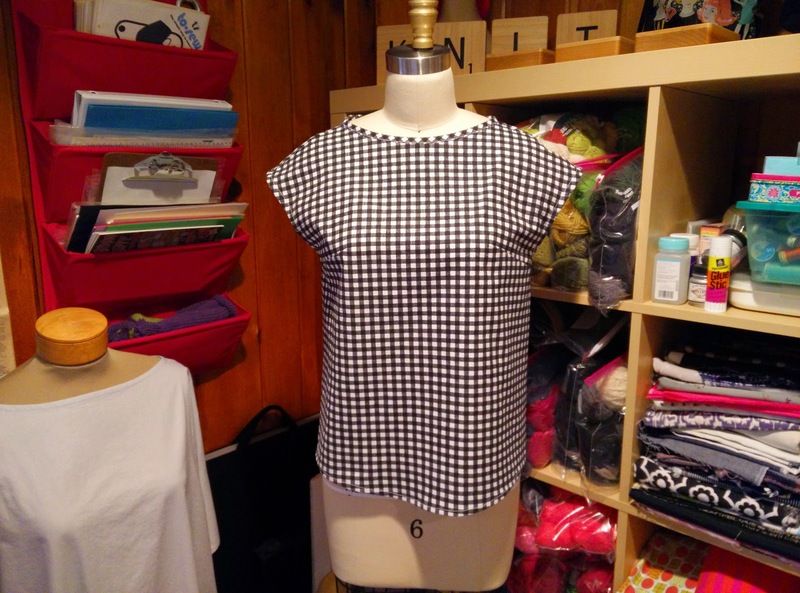 I had a lot of gingham fabric left over from the sleeveless blazer project, so I decided to make a quick top. 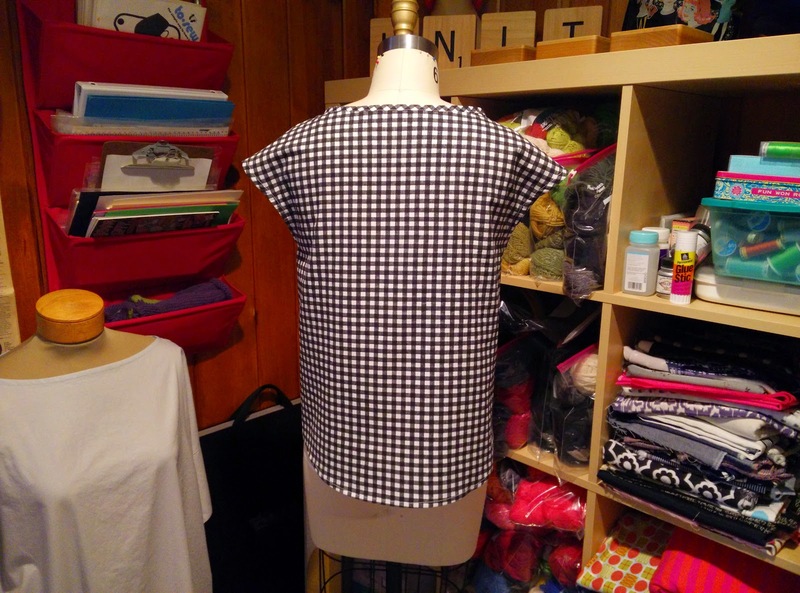 This pattern is from Machiko Kayaki's Home Couture book. 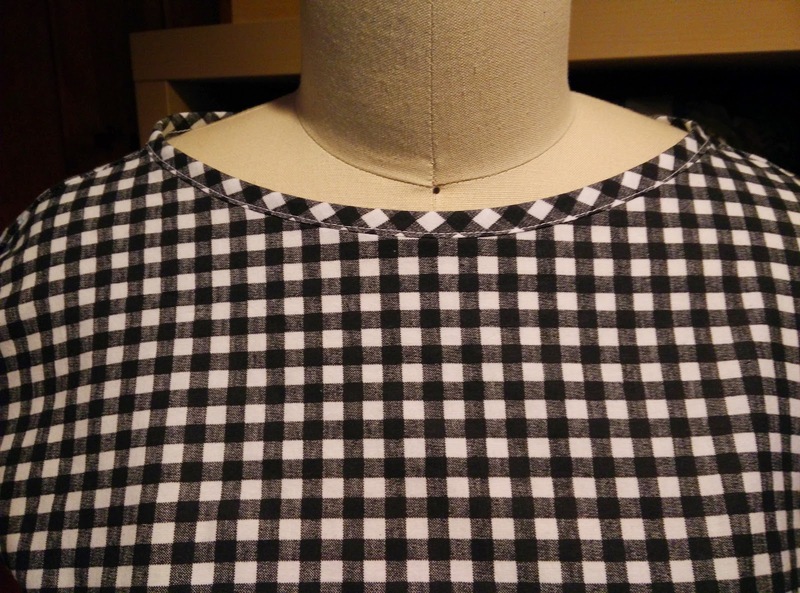 I love the French sleeves and the curved hem. A couple of bust darts make it a little more fitted. 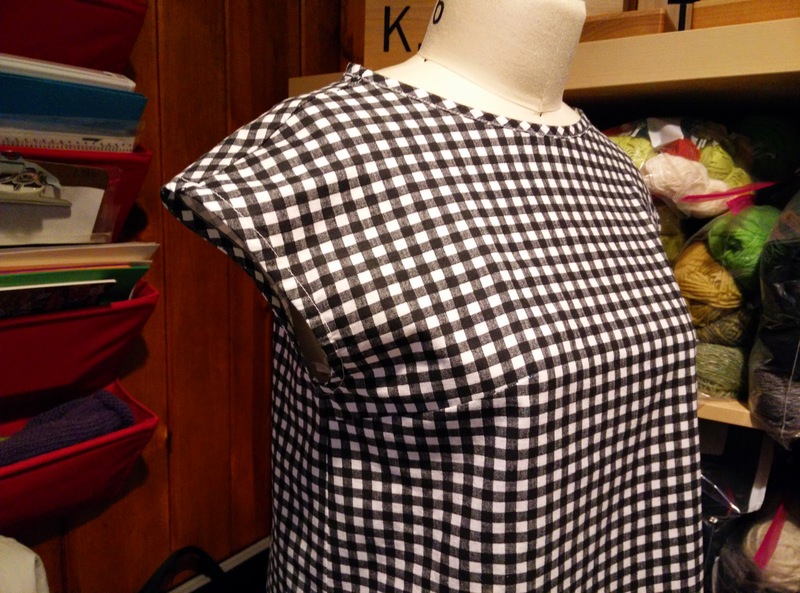 The neckline and armhole trims took the longest, but the entire project only took a couple of hours. It's a perfect spring pullover!